ScarabWeb.com - What is Database? Database is an organized collection of the information, (data could be in the form of almost every kind of information basically like text, tables, reports, scripts, graphics and etc.) which is used for a comfortable managing and systematizing, usually with an easy access to it, so that the data could be managed, refreshed and updated anytime when needed. There are a lots of special computer software applications for managing the database management systems that interact with the users or some other applications, and of course the database itself to capture and analyze the data. The most well-known ones are like: DBMSs include MySQL, PostgreSQL, Microsoft SQL Server, Oracle, Sybase and IBM DB2. Basically they all are just a programs that let you store and retrieve that data as efficiently as it is possible. 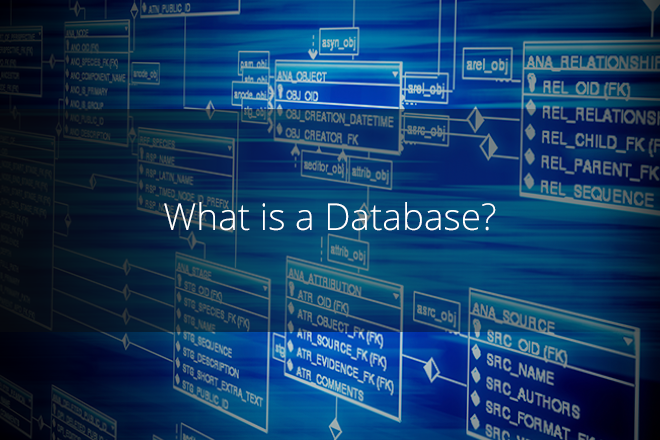 Database management systems are mostly classified according to the database model that they support and the most popular database systems since the 1980s have all supported the relational model as represented by the SQL language. As we figured out what exactly database is, let’s say a word about what MySQL is. Many computer programs, including web-based programs need to store and retrieve data. Actually you don’t need to be a programmer to be a webmaster. Let’s use the analogy of the car: let’s imagine that MySQL is like the car engine. You don’t need to know how the car engine is built to be able to drive the car, so also you do not need to learn how exactly to write or read a MySQL database to manage a software. Anyway MySQL software is an Open Source so that means that anyone can download the MySQL software from the Internet for free and it is available to anybody who wants to use and modify the software. You only need to learn the source code so you can change it according to your needs, and it is absolutely legal. The MySQL Database Server is very fast, reliable, scalable, and easy to use. You can comfortably work with it on a desktop or laptop, through any of your applications, web servers, and stuff like that. If you dedicate an entire machine to MySQL, you can manage the settings to use all the memory, CPU, and I/O capacity available and also scale up to clusters of machines on the same network. Originally MySQL was developed to serve a maximum large databases much faster than other existing software and it has been successfully used for several years. As MySQL Server is being constantly developed, today it can offer us a rich and useful set of functions. MySQL Server is very popular and world-wide because of its connectivity, speed, and security, so that makes is highly suited for accessing databases on the Internet.